Solar One’s K-12 Education Program – Green Design Lab™ – promotes experiential learning opportunities through science, technology and design. Solar One’s programs increase environmental knowledge about Energy, Water, Materials Science and Food, while fostering sustainable behaviors and stewardship. Using the school and urban environment as a learning laboratory, Solar One’s K-12 programs introduce students to hands-on real world experience, support the development of creative thinking and problem solving skills, and turn students into advocates for sustainability projects in their schools. 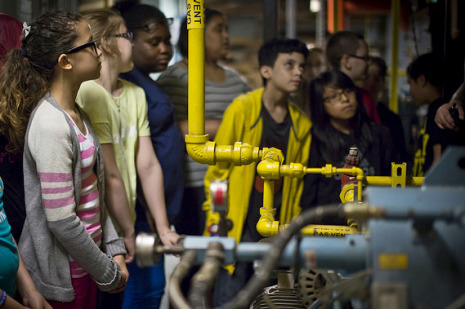 During Green Design Lab™ programs, Solar One educators work with teachers and students to deliver its curriculum, provide professional development, support school-wide sustainability projects, and engage with the entire school community to reduce energy use through schoolwide energy challenges. CleanTech, Solar One’s high school curriculum, generously funded by the National Science Foundation, engages students in hands-on explorations of emerging clean technologies and sustainability-related policy and economic issues at the local, national and global levels. CleanTech is designed to inspire the next generation of green engineers, scientists, architects, building system managers, energy auditors, economists and entrepreneurs. Solar One received the NSF STEM for All video showcase facilitator’s choice award for our video about the CleanTech program. 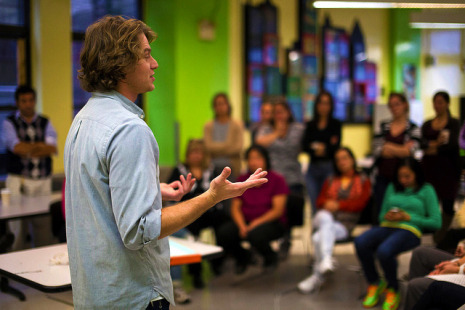 Through the Green Design Lab Sustainable Schools Network, teachers from near and far are provided with educational re­sources to green their courses and school buildings. Membership in the Sustainable Schools Network pro­vides access to curriculum, technical support, discounted toolkits, tutorials for hands-on activities, and more. Solar One is the go-to organization for leveraging the growing solar field to catalyze STEM education. We partner with the NYC Department of Education (DOE) to deliver the NYC Solar Schools Education Program and the NY Power Authority to deliver the NYS K-Solar Education Program. In 2016, Solar One was selected as the founding partner organization to deliver the NYCDOE Careerclue program, a summer intensive program that blends foundational academics, career exploration, personal development and service learning projects at Community Schools. Our program has doubled in size and our Education team spends the summers engaging high school students in hands-on learning, field trips, career activities, and projects to green their schools. 100% of teachers surveyed said they would recommend the program to other schools.